Insert usual excuse about being busy here. 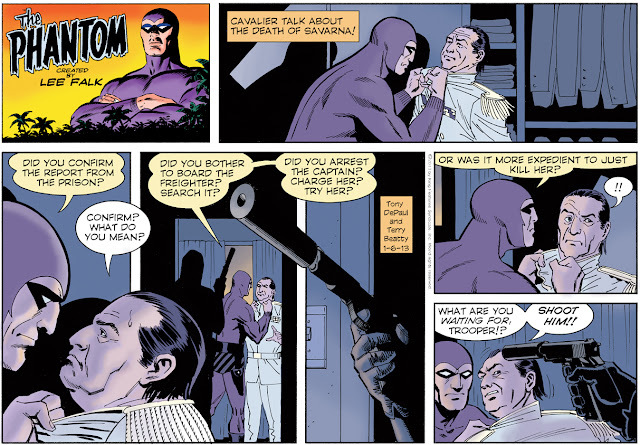 Catching up again with my Phantom postings -- here are the latest two Sunday pages. 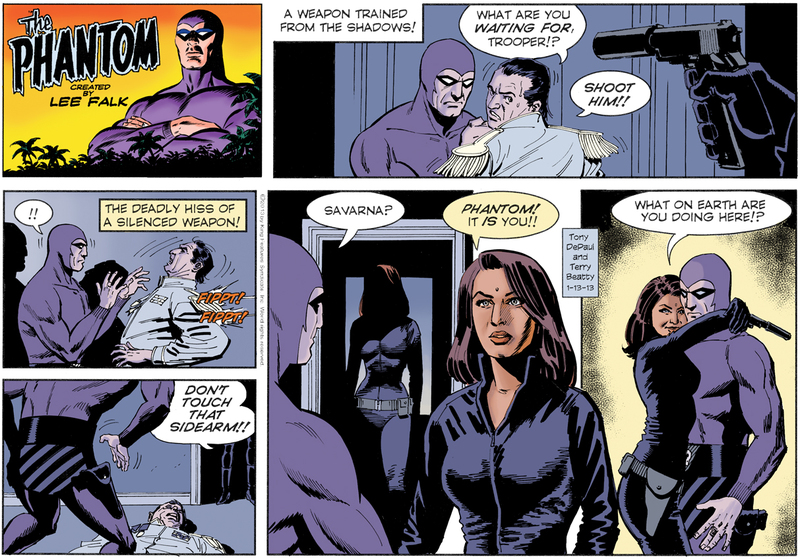 I must note that, while someone on another website has charged that I'm using an assistant to draw the strip, what you see here is 100% drawn, lettered (using Comicraft's "Comicrazy" font) and colored by me. I'm enjoying the gig too much to hand it over to anyone else -- and there would be no reason to. Yes, I have a full schedule, but not so full that I can't draw one Sunday strip per week. And why in the world would I let anyone else have the fun of drawing a strip like the second one here? After a year full of adventures featuring an almost exclusively male cast -- is there any way I'd pass on drawing Savarna's entrance? No way, pal. That's mine.